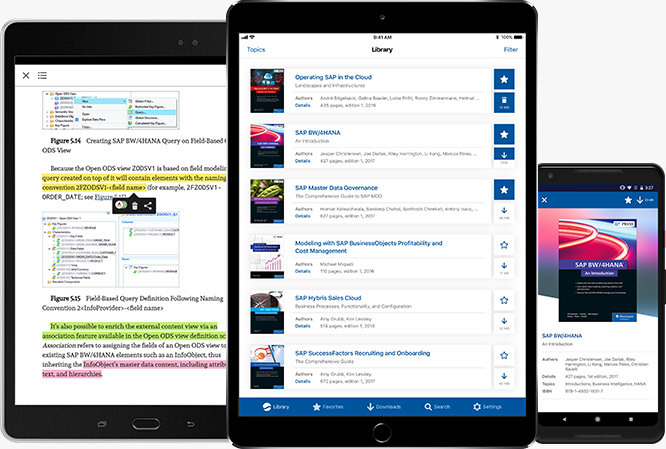 Our new app conveniently downloads your SAP PRESS subscription and your e-books to your mobile device! If you’re an SAP PRESS subscriber or if you’ve purchased e-books: use this app to download your books and read offline in mobile-native EPUB format. With this app, we meet our subscription customers’ most fervent demand: You can now download the books you’re subscribed to and read them offline. All you need is an active SAP PRESS subscription! 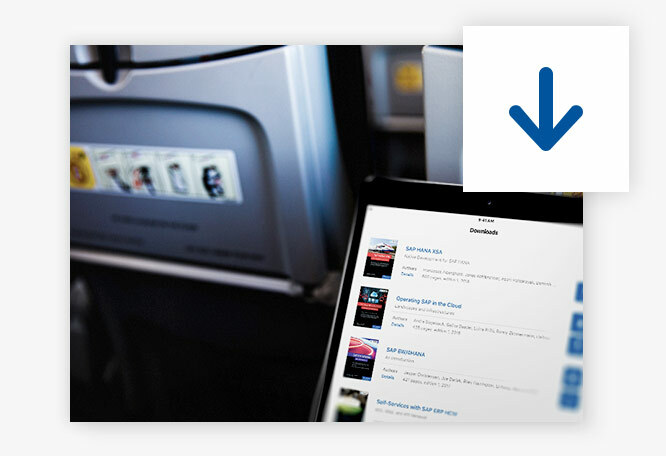 Whether on the plane, behind your customer’s firewall, or on your next scuba diving vacation: Your SAP PRESS subscription is accessible without exhausting your mobile data! Subscribers will love the built-in e-book reader: Read your books in convenient and adaptable EPUB format to adjust font size, font type, and background color. 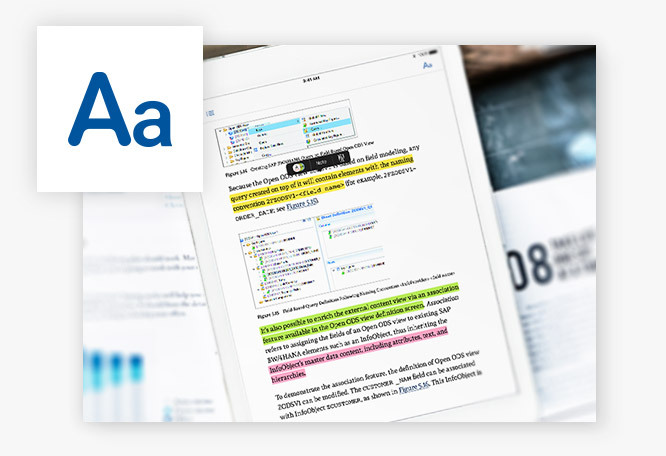 You can also highlight text, add your own notes, and create bookmarks. Log in and Read on! 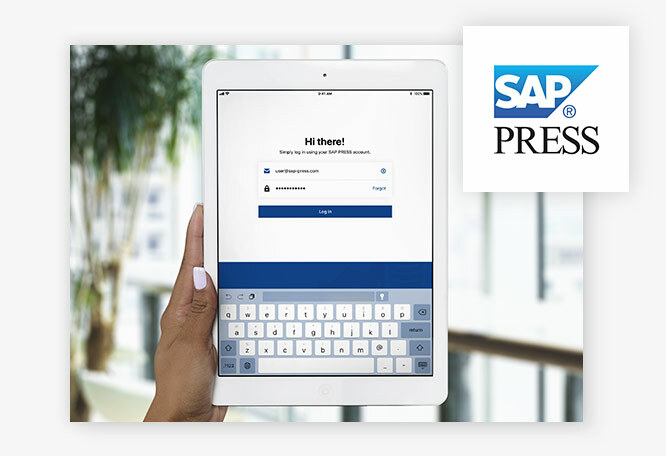 Simply log in with your SAP PRESS account credentials and access all books from an active subscription or from previous e-book purchases.